I just recently shared my favorite go-to survival items for the second trimester of pregnancy to help all you mama’s out (that you can read here), but what about the third trimester? Surely it can’t be the same product recommendations and tips for the third trimester, can it? Actually, no, it’s much different! This has been on my mind a lot lately because a close friend of mine has just entered her 3rd trimester of her first pregnancy, so I thought it would be helpful to her and to many of you to compile a list together of my favorites necessities during this period. The third trimester of our pregnancy is the last trimester before our little one arrives (woop, woop! ), which means there’s a lot of preparation to do beforehand! There’s so many different things our bodies go through, and different products we need as our pregnancy continues, and I want to talk about my top that I would recommend for any momma getting ready for her little bundle. You’ll see that you won’t need a whole lot of products or stuff in your 3rd Trimester, however, these were my 3rd Trimester Pregnancy Essentials It’s also a time to save money and prepare your house for your new little arrival. 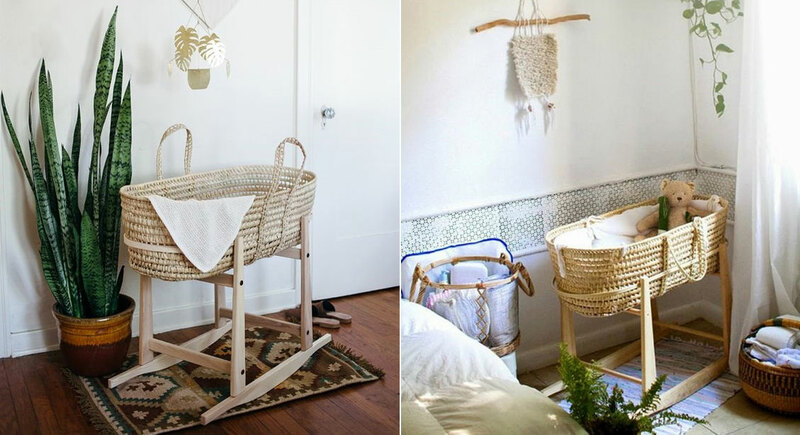 ♥ For ways to Save Money When Having a Baby, Click Here. ♥ Nearly childbirth, don’t forget to check out our recent post about What You Need & Don’t Need in Your Hospital Bag for Giving Birth. Because we’re getting so close to our time of giving birth and about to truly begin our journey of motherhood, you’re going to want to create a birth plan. A plan of your birth! Do you want a natural birth? What are your labor & delivery preferences? All kinds of choices like that that you can jot down in a notebook or on paper to help you get your thoughts together and truly prepare. When my mother introduced me to this, I was blown away with how involved I got with it. It was fun writing down ideas, and just little things to look back on in future years and remember my pregnancy days. Whether it’s in a planner like mine, in a journal, or on a blog, make time each day to write it all down. It will make your life so much easier! I’ve suggested my favorite journal for my birth plan and another especially important notebook you need to pack in your hospital bag for childbirth here (it’s something that not a lot of parent’s talk about, but it will be your lifesaver in the first few days of having a baby, for what that is, read #5 here). On one of my lovely friends blogs, momrediscovering, she has an entire article about planning your week all about simple and effective ways to help you plan out each day and each week, and this is the exact same thing that you need to do with your baby. Alright, it’s no joke that our mama feet start to hurt after carrying a big ole’ belly full of baby with us everywhere we go for 9 months, but sometimes, it can get out of hand really quick. I mentioned before in a previous blog post that I liked to end my day with a heating pad on my feet to help them to relax and release. And while this is a fantastic idea, the kind of shoes you’re wearing will make all the difference in how your feet really feel! And say hello to flats with extra cushion. Or you can be like me and just live in your slippers – don’t judge me! When I’m on the go, my favorite must have shoe is Sketchers Sport Women’s Empire because they are soft, easy to get on (even with a ginormous tummy), and provide the excellent support that I definitely need right now. Although these are meant for working out, lets be honest, lugging around that belly is a work out in itself (feel the burn, ladies). While prenatal vitamins are important from the very beginning to the very end of your pregnancy, believe it or not, a lot of women get lazy about taking them in the 3rd trimester. Since most of the development of the baby has already taken place, many women don’t see the importance in continuing to take them anymore. What you need to remember is that it is always important to stick to your vitamins until the birth of your baby, to ensure they are getting all the proper nutrients they need for full development. I always have taken, New Chapter Perfect Prenatal Vitamins, for this, as it has always provided me with a healthy pregnancy, made me feel good, and doesn’t have a bad flavor like a lot of the prenatal vitamins do. Try this one if you aren’t too keen on taking your pills, you won’t even know it’s there! Sometimes, one of the things I love about getting pregnant is that I can eat more and pig out whenever I want because of my ‘hormonal changes’. This is what I tell my husband, but in reality, it’s just an excuse to eat more. Well, one of the awesome things about pregnancy is that it’s totally necessary for your babies health and development to chow down on an extra piece of pizza (or two). No in all honestly, please don’t get me wrong, pregnancy is NOT an excuse to eat all that you can see. But really, hormones and pregnancy cravings are real, so yes, you will be eating on a few things more than you expect compared to your non-pregnancy self. Just make sure you are eating healthy most of the time, that way you don’t feel so bad eating that extra piece of pizza of slice of cake. And whilst we are talking about pizza (or cake), it’s always a good idea to think twice before you go ahead and just eat either. I admit that I did like a lot of pizza and cake when I was pregnant, but if you try making your own pizza (or cake) at home using your own healthy ingredients, it doesn’t make such an impact on your pregnancy weight gain, plus of course, it’s healthier – that’s a no brainer! For a food blog that I absolutely love, check out Cori’s blog coricostache.com, she has the most delicious and healthy recipes that are simple to do and won’t take up too much time. Check it out! As we basically are assigned by our doctors to become like Santa Claus, and eat, eat, eat (and I’m certainly not complaining!). In addition, it’s always important to carry around healthy snack foods in your bag when you are pregnant so you can stay in tip-top shape with your calories and your intake. Instead of opting for fast food that is convenient but loaded with calories. And not to mention, not so healthy. My favorite go-to snack food is peanut butter and almonds, which I find not only delicious, but are packed with essential nutrients that will assist in an easier pregnancy. If you want to binge on some ice cream instead, you do you girl, but make sure that you are always snacking and incorporating health foods into the mix as well, as what you eat will effect your baby too! I mentioned this tip in my last blog post, but it is even more important now than any other. In your downtime, you should start educating yourself more about your pregnancy and becoming a mother through blogs, books, and videos online. Think about it, your birth is just around the corner, you’re about to become a mother, and have a newborn in the house – it’s probably a good idea to do as much research as you can! An incredibly helpful book I love to refresh with each pregnancy is, The Mama Natural Week-By-Week Pregnancy & Childbirth Guide, as it has all the essentials tips and tricks you need to know each week along your journey – and it’s all natural! I would highly recommend that all new mothers read her incredible little book. And of course, the 3rd trimester is also the time for nesting, planning and buying everything you need for your baby boy or girl. 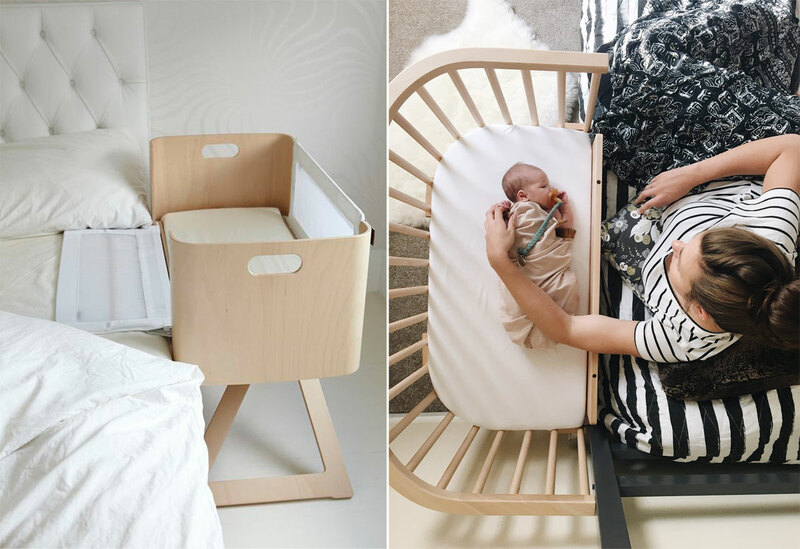 We have already covered a few things that you need on ThinkBaby for your new baby including a crib, noise machine, diaper pails (amoungst many more things! ), but check out cuddlecircle for all full list of everything you will need as an expectant new mom. We will have a blog post coming soon covering absolutely everything A-Z you need in the first year with a baby, but you can also check out our blog post about What You Need (& Don’t Need) in the First 2 Months. I currently get a lot of questions about which diaper bag to use. I do have a suggestion for a cheap diaper bag here, but for a diaper bag that is deluxe and fabulous, there is this one by the PrettyPokets.com. Their diaper bags are not only beautiful and practical, but they have a patent pending unique diaper dispenser which is surely handy for quick, easy and mess-free diaper changes. You can check the collections here. Apart from these essentials that I recommend (and YOU need), don’t forget that there is still things you need to do in your 3rd trimester of pregnancy. 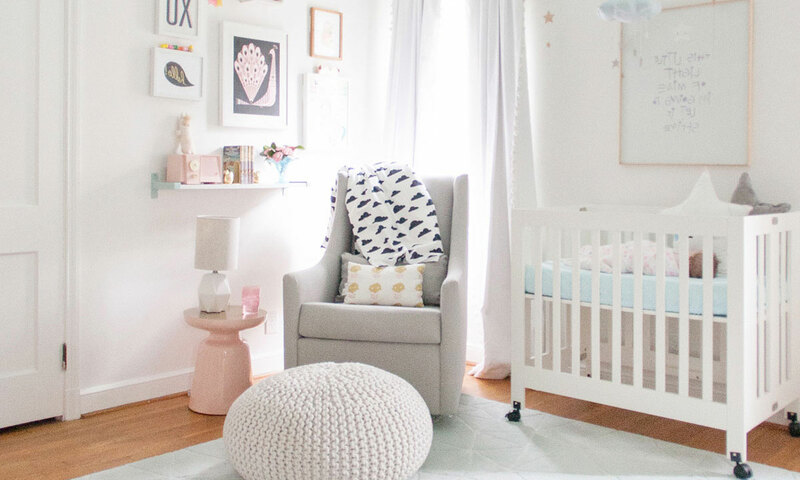 For what I mean, please go check out the this great blog post by Toni at ThreeBirdNest for absolutely everything you need to do and remember before bub arrives. I was never too familiar with a birth ball until it was gifted to me by my sister, and honestly, I don’t know how I went without it! Don’t be fooled if you haven’t heard the term before, it is just another name for an exercise ball when you’re pregnant. The thought behind it is to do certain exercise that will help your labor run smoothly or come sooner. For all those stubborn little beans that just don’t want to come out! I started using this on my second child when she was late, and I did have a smoother birth – so I’ll leave you to your own deductions! While you can really start using this at any time in your pregnancy, I would highly suggest using it from the beginning until birth, as it will continually help you move things around and truly prepare for your pregnancy at every step of the journey. I love to use the Bintiva exercise balls because they come in all sizes for women of every weight, and are anti-burst, which you will definitely need with all the pounds you’re gaining! My girl, livesswell blog also has an insightful post about being fitness during pregnancy, and mentions the use of a maternity band for support when doing so. These are ideal for ensuring you don’t hurt yourself and that you are comfortable at all times! So, if you’re considering picking up a birth ball, you might want to snag a maternity band as well, and have a look at her blog of pre and post pregnancy workouts (bazinga!). I talked about the importance of belly cream and belly butter (aka stretch mark cream or oils for pregnancy) before for combating stretch marks, but I never mentioned belly oil. Yes, it’s a thing, and it’s very different! Belly oil not only helps to fight off stretch marks, but it also soothes your skin, and helps your blood to better circulate in order for your baby to get a better flow of nutrients. As I mentioned in our stretch mark blog post, I love to use belly oil alongside my Burt Bees Belly Butter (which is my #1 stretch mark cream). They both bring different benefits and are totally harm free! My favorite oil is Weleda Pregnancy Oil, as I have felt and seen fantastic results with it that I haven’t had with any other! I would highly recommend you pick up a bottle next time you’re out and about, and give it a try yourself! For the only stretch mark creams that I’ve tried and actually work, check out the Best Stretch Mark Creams For Pregnancy Here. Don’t forget to check out, GlamMoments as she talks about the same topic! Overall, the 3rd trimester is just, a very beautiful time. We are all anticipating not only our labor, but welcoming our baby into this world. And like I said, don’t forget to check out cuddlecircle for more things you need to know before giving birth and beyond. Mom to mom, I would highly suggest you try any or all of the tips and tricks above, and apply them to your life, as they will make your last few months with your pregnant belly that much more enjoyable.